At Integrity Dental, we use leading-edge technology to improve the overall patient experience and provide you with a higher standard of dental care, whether we’re providing a dental cleaning or performing a tooth extraction. Our state-of-the-art equipment keeps you more comfortable during your visit, helps us develop precise treatment plans, and results in more efficient appointments. We invite you to visit our practice to see how modern technology can make a world of difference. 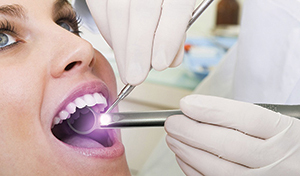 X-rays play an important role in dentistry. We use them to make accurate diagnoses and create personalized treatment plans. Our practice is proud to use digital X-rays, which are safer, more efficient, and environmentally friendly. How Do Digital X-rays Help Me? 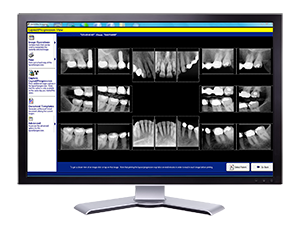 Digital X-rays highlight issues in your teeth, roots, and jawbones that can’t be seen from a routine visual exam. These modern X-rays don’t require any sharp X-ray film or chemical processing, so you enjoy a faster and more comfortable experience. Compared to traditional X-rays, these emit up to 90% less radiation. We always want our patients to feel fully informed about their oral health. The intraoral camera is a helpful device for doing just that. It looks similar to a wand or pen, and we use it to take pictures of the inside of your mouth, which we can then show you on a computer or TV screen. How Does an Intraoral Camera Help Me? We receive images from an intraoral camera immediately, so there’s no processing wait-time. This allows us to create a treatment plan for you faster. By being able to see exactly what we see, you can better understand our diagnosis and become a more active participant in your oral health care. Using these pictures, we can create before and after pictures of your treatment. What’s one of the top concerns when it comes to oral health? Cavities! Tooth decay is a common problem that can start off small but lead to serious pain and damage. 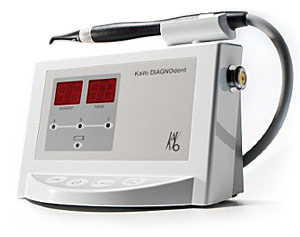 The DIAGNOdent® is a handy tool that uses a laser to reveal decay in its early stages. When we scan a tooth with DIAGNOdent, we can see cavities that might otherwise be hidden to the naked eye. How Does DIAGNOdent Help Me? It’s a safe, cost-effective, and non-invasive way to detect cavities. When you spot tooth decay early, you’ll have more treatment options available and can prevent it from becoming a costly or painful issue. With its over 90% accuracy rate, DIAGNOdent allows you to make confident decisions for your dental treatment. Before you even begin a major treatment, we can show you what your new and improved smile will look like thanks to digital imaging. Our smile preview software creates a simulation of how your teeth will appear after your procedure. This is particularly useful for planning cosmetic treatments like veneers or Invisalign®. How Does Digital Imaging Help Me? We can use the digital images to walk you through your treatment so you gain a better idea of the process. Being able to see the outcome of your procedure can help you feel more assured in your treatment moving forward. You’ll get a chance to visualize how your new smile may change your appearance. If caught in its early stage, oral cancer is highly treatable. Because of the importance of discovering this disease as soon as possible, we use the ViziLite to identify any abnormal tissues in the mouth that might develop into cancer. All in all, the screening is painless and takes just a couple of minutes! How Does ViziLite Help Me? ViziLite can detect signs of oral cancer that may not be visible in a routine exam. When oral cancer is caught at an early stage, you can begin treatment sooner for a higher success rate of cure. ViziLite is a great tool to ensure a comprehensive oral screening for at-risk patients.